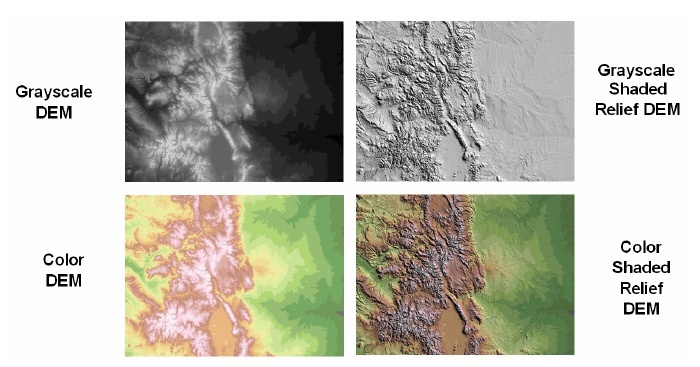 While shaded relief is an effective way of representing terrain for maps (from directly above) it is insufficient for 3D representations like those you might find in CAD software, virtual reality or video games. The challenge with generating 3D mesh images from heightmaps is that the heightmaps typically contain significantly more information than you can capture in a 3D mesh without blowing up the polygon count and slowing down your frame rate to the point where smooth animation or manipulation in realtime becomes impossible even with high powered GPUs. 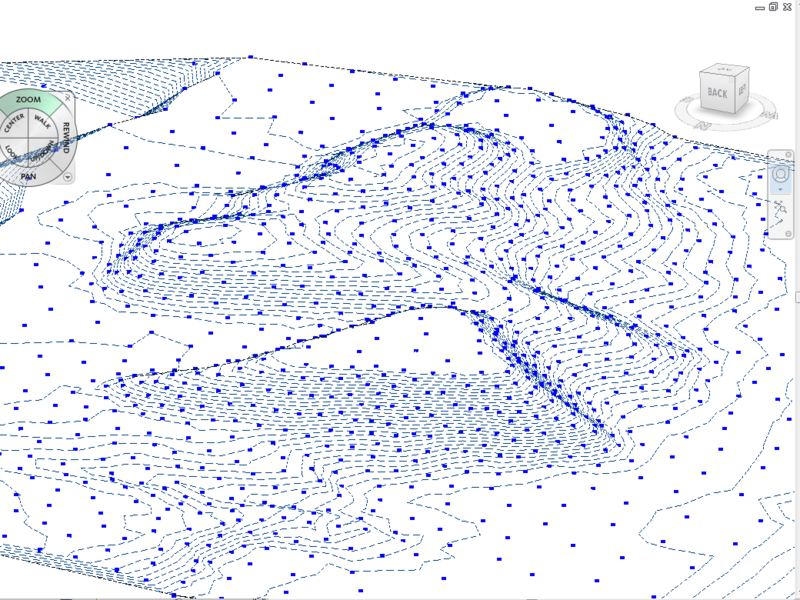 A variety of sophisticated algorithms exist for optimizing meshes, but they can be time-consuming and require specialized tools that are hard to generalize across multiple workflows. What we realized was that we could use the open source StippleGen tool and modify it to take in both a heightmap as well as as a variance map (an image using darker grays to represent those areas with the greatest variation in the heightmap). This crowded the dots in the areas of greatest variation resulting in more detail where we wanted it. 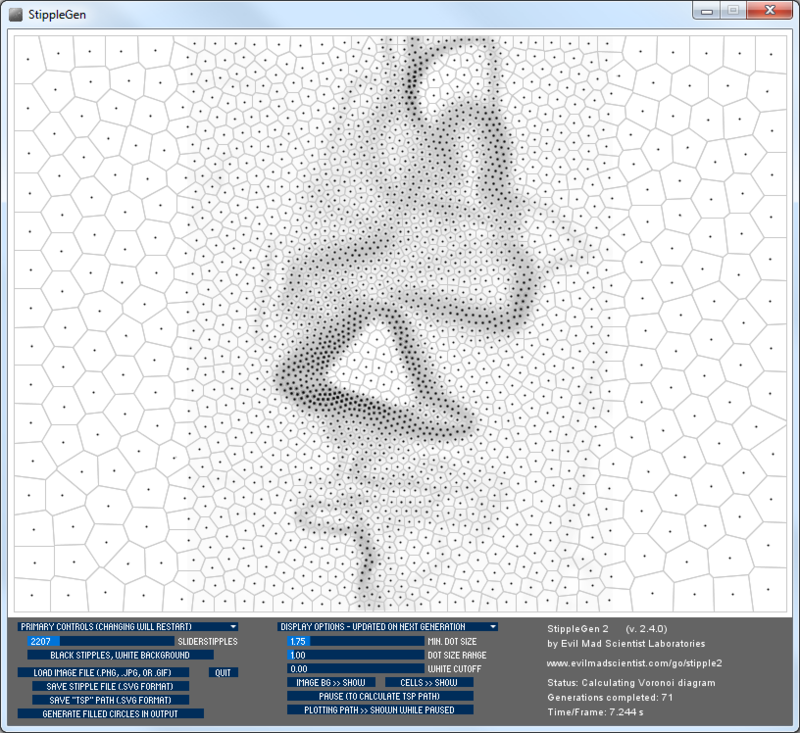 We could also control the density and level of detail of the resulting mesh using a slider. 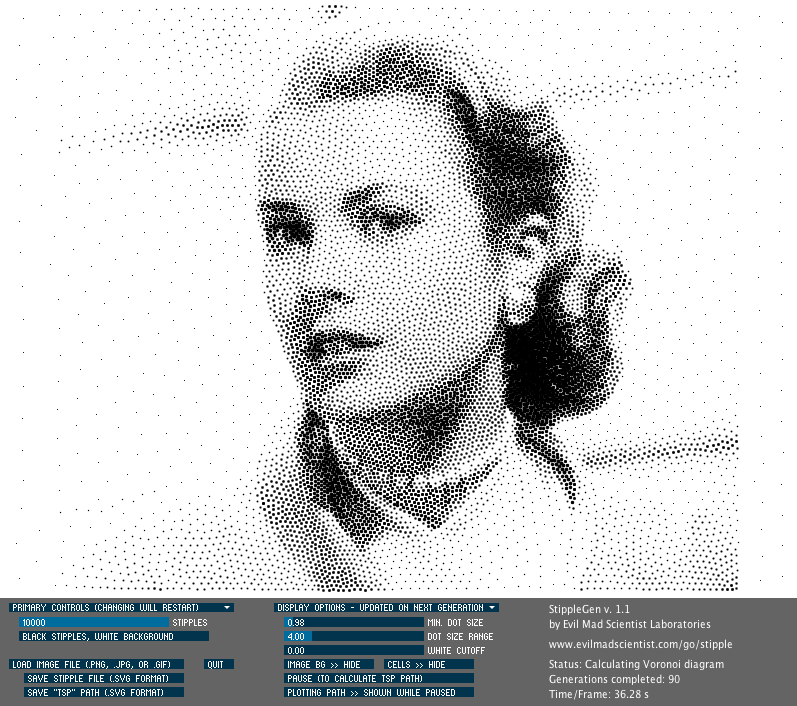 What's more, the organic quality of the dot distribution also helped reduce the bias imposed by a regular grid where details could fall between the cracks. The result is a tool that provides a highly optimized 3D mesh for use in everything from Autodesk Revit, 3D Studio Max, Rhino, SketchUp, Unity or WebGL. 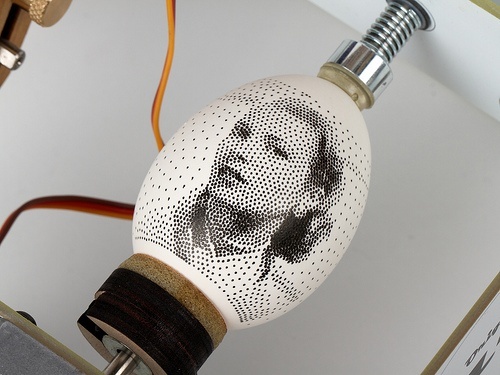 All from a tool created for decorating eggs! A technological exaptation!